"Thank you Moody Leather for our new guitar straps! Whiskey On My Breath—the duo’s third album—marks a significant creative statement for the two singer-songwriter-guitarists, whose resume already includes a long series of career highlights. Having already established themselves as one of country’s hottest young acts with such memorable hits as the #1 country smash “Angel Eyes” and the Top 10 hit “Runaway,” and their widely acclaimed albums World Wide Open and Love and Theft, the ACM/CMA/CMT-nominated twosome take their music to the next level onWhiskey On My Breath. The new collection finds the pair stripping their sound down to its essence, with spare, largely acoustic arrangements that focus squarely on their impassioned performances and distinctive vocal chemistry. With Barker-Liles and Gunderson co-producing with longtime studio collaborator Josh Leo (known for his work with the likes of Alabama, Restless Heart and Lynyrd Skynyrd), Whiskey On My Breath showcases the emotional honesty of such self-penned new tunes as the introspective title track and the pointedly personal “Everybody Drives Drunk,” along with such lighter-hearted new originals as “Easy,” and “Anytime, Anywhere,” which show Love and Theft’s playful sense of humor to be fully intact. Other highlights include “Get Drunk and Make Friends,” which the artists describe as the most honky-tonk song of their career, and “Wrong Baby Wrong,” a barbed Barker-Liles cowrite originally recorded in 2009 by Martina McBride and now reworked in fine style by its co-author. 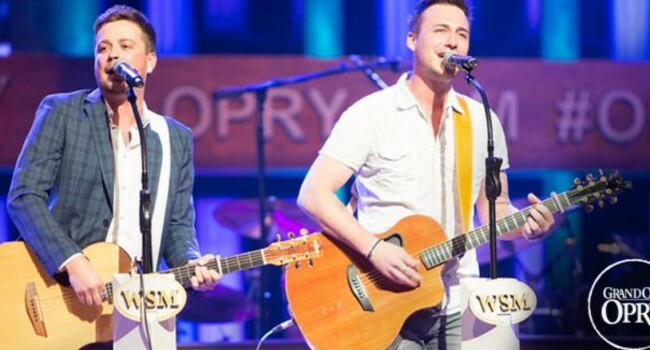 Although it’s a departure in many respects, Whiskey On My Breath won’t come as that much of a surprise to Love and Theft’s longtime fans, who’ll recognize the commitment to high-energy performances and emotionally forthright songcraft that’s been the foundation of Love and Theft’s music from the start. The pair’s second-nature chemistry led them both to agree that the occasion of their third album called for the bold musical statement that Whiskey On My Breath would ultimately become. Indeed, Whiskey On My Breath makes it apparent how far the duo—who’ve both become husbands and fathers in the six years since they began their recording career—have traveled, and demonstrates that they’re in for the long haul.